Brooklyn GYN Place is pleased to have Dr. Amir Marashi as part of our team of highly skilled Ob/Gyn Physicians. 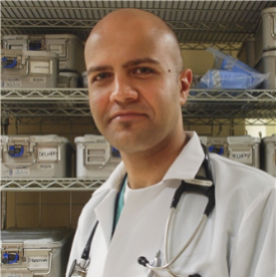 Dr. Amir Marashi has special interest in minimally invasive surgery, robotic surgery , and SILS surgery (single incision laparoscopy surgery). If you were diagnosed with ovarian cysts or Uterine Fibroids and told that you need to undergo a major surgery come and see Dr. Marashi for a second opinion and explore all the options and benefits of minimally invasive robotic surgery. In addition, Dr Amir Marashi offers complete Gynecological and Obstetrics Services: Routine Evaluations Screening and Diagnostic Evaluations Gynecological Procedures Cosmetic Procedures Prenatal Care Brooklyn GYN Place 142 Joralemon Street, #4Cf, Brooklyn, NY 11201, +1 718–624–0604. https://www.brooklyngynplace.com Payment: cash, check, credit cards. Working Hours Monday — Friday: 9am — 5:30pm Saturday: 9am — 11:30am Sunday: Closed. HealthCosmos selection of professional & user submitted videos answers important health questions. Enter Amir Marashi's page for info and videos.